Vehicle owners are facing the challenge of fuel price increases and all other costs such as vehicle servicing, tyres, tubes and spare parts, said National Chamber, Chamber of Commerce of Sri Lanka (NCCSL) Secretary Sujeiva Samaraweera. He said that it will be difficult to run businesses at a profit when prices increase on a regular basis. 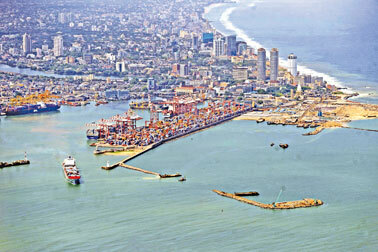 Port congestion due to heavy traffic around the Port of Colombo affects costs. Time wasted on the road should be minimised. The cost of running a KM is around Rs.120-150 depending on the vehicle. Owners are compelled to increase rates to sustain this business. In line with President's Mahinda Rajapaksa's vision of creating a naval hub in Sri Lanka, the trucking industry plays a major role. Supply chain and cargo management are vital to achieve the desired goals and expectations of the government which will in turn encourage foreign investors to establish businesses in any part of the country. The emerging Hambantota Port is of immense importance to the industry as this will be an attractive location for many shipping lines. 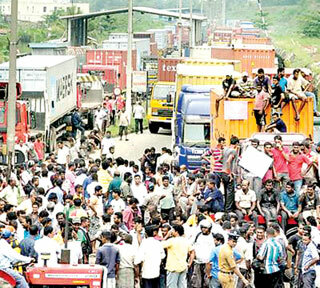 The trucking industry in Sri Lanka offers over 100,000 direct and indirect jobs and there are over 6,000 container trucks entering the Colombo Port daily. Creating indirect employment for mechanics, painters, vehicle body builders and many other related fields. The contribution to the economy from this industry is commendable. Due consideration should be given by the Ports Authority and the Police Department to effectively coordinate this issue and remedial action should be taken to achieve mutual benefit. The Ports Authority should consider requests by the Association of Container Transporters (ACT)and the 20 Footers Society to resolve practical issues they face. ACT should be commended for resolving last week's stoppage of work by truck drivers which could have affected the shipping industry. The strike would have given negative publicity to the global shipping industry as well. The Industry should not permit drivers or cleaners to take the law into their own hands. But as an industry we have to look into the basic need of workers and give due consideration for reasonable requests enabling them to act with self -respect and dignity. Supporting services such as the Customs and the Sri Lanka Navy also should join hands in finding a lasting solution to this issue. The Customs Department has a greater role to play. The Director of Customs at the RCT terminal has taken steps to ease congestion by distributing cargo to other terminals that the Shipping industry prefers. Meanwhile, the Customs Department should look into the possibility of working round the clock and releasing imports to consignees during night time , which will resolve many matters to a great extent.